One prevailing misconception about the Enlightenment is that it is an irreligious or mostly secular age. How does Outram in chapter 8 challenge or complicate this overly-simple view? Outram challenges the prevailing misconception that the Enlightenment was an irreligious or mostly secular age by portraying it as a time period of tremendous changes in thinking. Instead of discussing the Enlightenment as a mainly secular age, Outram discusses the rise of different religious practices that were found during the period. The Enlightenment was a period of tolerance and therefore a period in which many religious denominations and practices were embraced. For example, Frederick the Great wrote, “all must be tolerated…everyone must be allowed to choose his own road to salvation” (Outram 117). Though these changes challenged the dominance of the Catholic Church, they did not necessarily make the time period irreligious. Outram, Dorinda. The Enlightenment. New York: Cambridge University Press, 2005. Print. First thoughts on Beccaria: his method, his values, his aims. 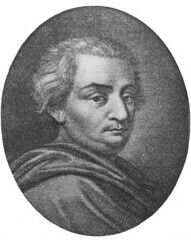 Also, how might Beccaria compare with Voltaire in his critical viewpoint on the use and abuse of authority? Beccaria is very deliberate in his approach to analysis. He views the law as a tool for preventing violence and suffering, rather than a tool for punishment. He defines laws as “the terms under which independent and isolated men come together in society” (Williams 442). Rather than advocating for extreme individualism, he argues for some restrictions on freedom for the good of society as a whole. Beccaria views individuals outside of society as men who are “wearied by living in an unending state of war” whose freedom is made useless because there is “uncertainty of retaining it” (Williams 442). According to him, men sacrifice a certain degree of freedom in order to live in the sovereign of the nation and “the sovereign is the legitimate repository and administrator of these freedoms” (Williams 442). Unlike Beccaria, Voltaire is much more individualist in his approach to society. He looks first to the individual and then to society. He analyzes and classifies man according to categories, beginning first with the individual (human nature) and then using those judgments to judge society (Williams 188-189). Accordingly, he process of induction creates a negative (though, some would call realistic) view of humanity: “one country cannot win without another losing, and it cannot conquer without making some people unhappy” (Williams 180). According to Voltaire, the rich prefer an aristocratic system of government, the poor prefer a democracy, and the kings prefer a monarchy. Voltaire and the Jesuits: what’s his attitude toward this specific arm of the Catholic church? Interesting little fact: Voltaire was educated by Jesuits early in life. Voltaire is particularly critical of the Jesuits. Candide becomes a Jesuit, befriends the Reverend Father Kroust, and is sent to Rome: “The Father General needed some young German Jesuit recruits. The sovereigns of Paraguay receive as few Spanish Jesuits as they can; they prefer foreigners, since they feel more their masters” (47). The Jesuits want Candide because he is German, and being a foreigner (not Spanish) allows him to stand out more from the local population and rule more severely. Voltaire mocks the Jesuits’ superficiality and tendency for melodrama by showing their tears and tenderness and simultaneous cruelty and lack of empathy. For example, we are told of how the Baron’s “tears began to flow,” how “he seemed unable to tire of embracing Candide,” and how “he kept calling him [Candide] his brother, his savior” (47). Then we are shown his immediate change in tone when he hears that Candide has plans to marry the Baron’s sister, Cunegonde. The Baron calls Candide an “insolent wretch… I am amazed by your effrontery in daring to speak to me of such rash plan!” (47 – 48). Candide tries to reason with the Baron. He tells him how he had saved his sister, how she wants to marry him, and how “Dr. Pangloss always told me that men are equal, and certainly I shall marry her” (48). The Baron does not accept this. After Candide kills the Baron, Cacambo puts the Baron’s probe over Candide and tells him to pretend to be him. He insists that no one will notice because “everyone will take you for Jesuit on his way to give orders” (48). Here, Voltaire is criticizing the Jesuits’ inconstancy, superficiality and self-satisfaction. In other words, the Baron is presented as a two-faced, self-centered and self-interested individual. He only shows affection and preaches love, faith and equality to get what he wants. But when faced with a potential brother in law who he views as someone who is lower than him in society, he true colors come out and he shows himself to be a domineering abusive racist. Voltaire. “Candide.”Candide, Zadig and Selected Stories. New York: Signet Classics, 2001. Print. What role did religion play (Quakers, Evangelical Anglicans, Dissenters, Catholics) in the Abolition movement? Religion played an important role in the Abolition movement. The Quakers were staunchly against slavery: “they refused to hold slaves” (Outram 61). The Quakers worked with other Protestants to bring about an end to slavery. Though religion did not provide any the economic reasons for ending slavery, religion did provide a good reason (human rights argument) for abolition. It is doubtful whether abolition would have had a good case against slavery without faith and religion. Furthermore, these groups also provided the space and time for these ideas to be discussed. What is the “taxonomic impulse” as discussed by Outram on page 68 and elsewhere? very little interest. Thus, it was reasonable (if you agree with the originally flawed premises of this argument) to then argue that blacks were inferior, as many Enlightenment thinkers unfortunately did. To me, taxonomic impulse seems to be only the beginning stage of understanding or categorizing the world. At some point, we need to move past categories and superficial elements like external characteristics and go deeper in our understanding. Research in sociology, education, and psychology have elevated our understanding of the world around us and how similar we all can be given certain conditions. But this work is yet to be done in relationship to other creatures on earth. For example, we are still only mainly talking about animals in terms of group dynamics and what their species tends to or tends to not do. Thus, we only understand them on a basic categorical (species-only) level. However, there are now beginning to be some psychological and social studies on animals as well. Pet owners already know that no two animals in their household are alike in personality, much in the same way that children vary in personality and temperament. But now science is discovering this as well. Thus, it is natural to infer that no two tigers or sea lions or elephants are exactly alike. These animals, like people, are influenced not only by their natures, but also by the kind of family group that they were raised in and the kinds of environmental factors that influence them. For example, many dogs who have served in Iraq and Afghanistan are suffering with PTSD, just like other (human) veterans. What we need now are more of these studies and more of this kind of holistic thinking when it comes to animals. That way, we can move away from classifying and understanding other creatures on a classification or categorization level (that is driven by taxonomic impulsiveness, which can and so far does result in us thinking that animals are inferior to humans and that certain animals are inferior to other animals) and toward a more wholesome study of animals (one that considers their psychologies and sociologies). But as with slavery and the Enlightenment, this will also mean that we will have to reevaluate our farming/food consumption practices. Voltaire as a critic (of philosophy, religion and social customs): what do you see as his specific targets? In terms of philosophy, Voltaire targets Leibniz and his philosophy of systematic optimism. Leibniz argued that if God were perfect then He must have created a perfect world; thus, he considered the world’s suffering as a factor of a “harmonious universe” that people are too limited in perspective to fully understand (xii). Voltaire saw this position as a “divine justification for suffering and injustice” and used Candide to take Leibniz’, and Dr. Pangloss’, position to its extreme in order to mock this philosophy (xii). In terms of religion, Voltaire criticizes the notion that one religion is superior to another. 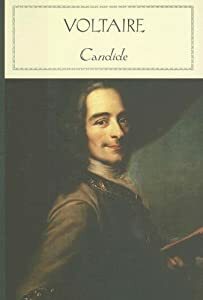 For example, Candide, “who always had a taste for metaphysics,” asks Cacambo to ask an old man in Eldorado “whether there was a religion in the country” (Voltaire 56). The man is shocked and questions whether there can be two religions: “ ‘Can there be two religions?’ he said. ‘We have, I think, the religion of everyone; we worship God from morning till evening” (56). Furthermore, Voltaire also mocks the European notion of prayer. The man explains that they did not pray to him because “we have nothing to ask him for; he has given us all we need, we thank him without ceasing” (56). This scene criticizes the European’s relationship with God. In particular, it mocks the way that Europeans tend to ask God for favors rather than thank him for what he has already given them. In terms of social customs, Voltaire criticizes the state. In contrast to the European monarchs, the King that Candide meets in Eldorado is gracious and welcoming. In contrast to France where exile for the wealthy and the semi-wealthy was common, in this country “a reasonably well-off person” stays where he is (Voltaire 58). Furthermore, the King states, “I certainly have no right to detain foreigners; that is a tyranny that does not exist either in our customs or in our laws; all men are free; leave when you will” (Voltaire 58). 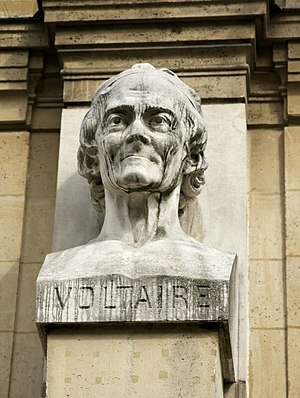 Voltaire uses Eldorado’s as an alternative to the way that society is conducted in France; thus, instead of criticizing France and Europe directly, he shows the reader another country that treats its citizens in a completely different way and implies that it is possible to create a society which functions a lot like this one. To what extent did 18th-century individuals in Europe, England and America think of enslaved African people as racially different or inferior? Cite evidence from her chapter. Individuals in 18th-century Europe, England and America thought of enslaved Africans as the Other. Even though many argued for the abolition of slavery, African people were still considered racially inferior to whites. As a result of this perceived inferiority, many prominent whites argued that white people should not mix with black people. For example, Jefferson stated that African people “are inferior to the whites in the endowments both of body and mind” (Outram 70). Thus, he argued that freed slaves should be removed from society, “before any sexual relation with white people can occur” (Outram 71). 18th-century individuals in Europe, England and America tried to use science and classification to find justifications for their beliefs. For example, they examined Africans’ outside and inside appearance, i.e. skin color, skeletons and craniums, but did not find the justifications that they were searching for (Outram 69). The problem with their methodology was that they assumed that their conclusions about the inferiority of black people were correct and went around trying to find proof. What they needed to do instead was to examine the evidence first and then draw conclusions (this is the way real science rather than pseudo-science is conducted). If they had only examined environment and culture of European versus African societies then they would reach the conclusion that the differences were mainly environmental rather than intrinsic (fortunately, they did this later).